This tool kit is outfitted with superior Japanese brand tools (VESSEL & 3Peaks). 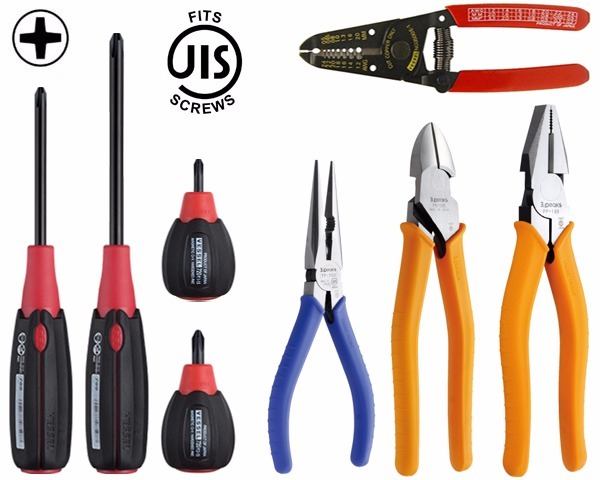 The included cross-point screwdrivers have a gel-grip and fit JIS (Japanese Industrial Standard) and standard screw heads perfectly. This ensures a correct fit for fastening and helps prevent cam-outs.